Why did Matthew McConaughey family think Camila would say no? Why did Matthew McConaughey’s family think Camila would say no? 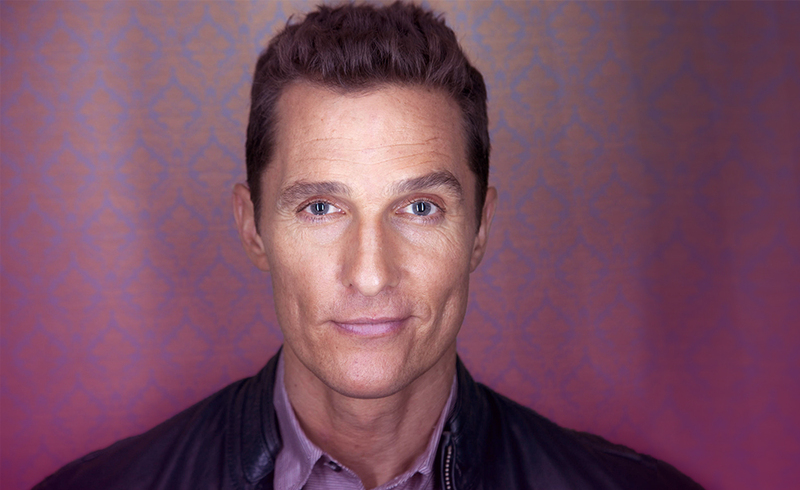 Matthew McConaughey revealed how he had it all planned. He was going to propose marriage to Camila Alves on Christmas day, but his family thought she would say no. So much for receiving all the support you need from your nearest and dearest. So on Christmas day, he presented her with her gift, which was 9 boxes deep. She unwrapped them one by one until the last one. Then she fell into silence. That must have been the longest silence in Matthews life, but alas his family were wrong. Ok, it did take him falling to his knees and refusing to get up until she gave an answer, but the answer was yes. Well, it’s refreshing to see that old fashioned romance is not dead. By all accounts, a very successful pairing as the couple married in 2012 and have 3 children. I have to say, Matthew, that is was a bit sneaky. How could any woman say no to a gesture like that? A sign of things to come? Let’s throw out a few cards and see what they say about you Matthew McConaughey and Camila Alves. This is the card of investing in your future. With 3 children this is a must, but this investment is not all about cash as the name of the card would have you believe, but it’s about understanding the true value of something. Cash is not always where your wealth is. It’s in the heart and soul of the people you are surrounded by. Now, I know that it would be fitting to just say this was about your love life, but that’s not what this card is saying. There are decisions coming up which will take careful planning. There may be three options on the table, but you can only choose one. Knowing there will be regret over the other two. It’s a battle of the spirit, but choose you must and don’t look back. Here is the aftermath of the decision. Not everyone will be happy about what you decide, but ultimately they are not the ones walking in your shoes. You have to do what is right for you and yours. Such is life. Some people like to think they know what’s best about your life, but they are not walking your walk. Don’t panic. The temperance card fell accidently while dealing those ones and it means calm. Keeping a calm head will clear problems faster than panic. Don’t be rushed by other people’s timelines. 2017 mid-year, there is some reason to feel pleased with yourself. Very pleased. Watch for the month of June. Previous ArticleSandra Bullock’s ‘not so’ new guy.Next ArticleWhat is Adam Levines take on parenthood?